Without knowing it, you have been working and creating valuable content for many third parties that rely their life on your creations. While scrolling down, watching a video that just passed by on your timeline, liking your favorite artists and restaurants, is all they need. These information or data from your Facebook profile is more valuable than you would ever think in this day and age of Platform capitalism. You may now realize that you’re putting all this work into a private profit-driven company without getting any cut of their revenue. As the Italian theorist Tiziana Terranova argues that the work processes have shifted from the factory to the society (34). One could argue that expressing your interest and life onto the social media Facebook is a form of free labour. This freely unwaged labour via Facebook is a constant creation of value that is inherent to the flows of the network society. Facebook is generating revenue through the use of data available on the platform. Through automation, the gathered data on Facebook is made available for any third-party that wants to make use of this. Through Facebook’s ad manager anyone can create an advertisement and promoting it to different target groups based on accessible user data. As Terranova calls them, today’s 24-7 electronic sweatshops of digital media have become a realistic social-economic problem that causes a lot of financial inequality. Free labour takes form in a multitude of virtual occupations that become vital in the formation and capitalist extraction of (monetary) value (Terranova 33-4). There is a need to focus more on labour within virtual spaces, e.g. social media platforms. Terranova uses the concept of immaterial labour and explains how the internet of today exposes the existence of networks of immaterial labour. One could speak of immaterial labour when labour produces immaterial goods such as a service, knowledge, a cultural product or communication (Gill & Pratt 16). The exploitative aspect of immaterial labour is best understood through the concept of time, the disappearing difference between work and leisure, and production and consumption (Gill & Pratt 17). When the consumer becomes a prosumer (consumer and producer), i.e. when a Facebook user creates valuable data, it becomes exploitative in the sense of it being a form of free and unwaged labour, sometimes without any consent. In this case, free time becomes free labour, when using Facebook to upload content by leaving a stream of data for platforms to feast on. This way, Facebook can charge “rent” in the form of free labour, that is, the behavior of a prosumer on the platform. So how did Facebook became an environment for a 24-7 electronic sweatshop? In his book Platform Capitalism, Nick Srnicek explains how internet-based companies shifted to a business model that monetised the free resources available to them (Srnicek, 36). Advertising has become the basis of profit, as “96.6% of Facebook’s revenues comes from advertisers” (Srnicek, 53). The core idea of advertising revenue is how user data is not only collected but also analyzed by an AI in order to match it to potential consumers of the advertiser (Srnicek 57). 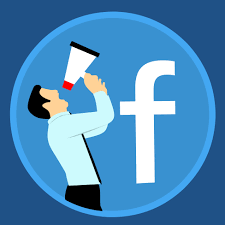 Everyone who wants to advertise on Facebook and has a business profile can access the Ad Manager to create one and target their advertisements across the platform. Every user is able to make a business profile for ‘free’ and accessing the Ad Manager is ‘free’ as well. In other words, it does not cost money to make a profile but it, of course, creates data for Facebook to sell. The Ad Manager then becomes a tool where the user can target very specifically on who will see the advertisements. Almost everything can be targeted to specify the purpose of the advertisement, e.g. someone’s age, gender, location, interests, and taste in music, food or favorite actor. It is possible to both exclude as well as include different target groups, and the advertiser can set the desired budget and running time of the ad themselves. This specific targeting is possible because of the Artificial Intelligence (AI) of the Ad Manager, and that same AI scans and verifies every possible matching facebook user and it checks for possible harmful content. It has been proven that this AI makes mistakes and may cause wrong ads to be approved, like fake political news. The AI can be tricked into approving certain types of advertisements if the targeting is done well. Users of the Ad Manager can also see and analyze the statistics of their running and past advertisements in order to make future target audiences even better and more efficient. But how can the Facebook Ad manager become a tool for not only the powerful monopolistic platform to earn profit but also for the unwaged free labourers who are being used for their data? In order to offer a solution to the social economic inequality on the platform, one could argue that either the users should get a share of the revenue generated by their data, or the advertisers should pay the users to make use of their data for their advertisements. In any way, the free labour executed by the users of the platform should be compensated. A possible speculative post-capitalist solution which covers these ‘requirements’ could be a revision of the Facebook Ad Manager. First, all user profiles and their content should be legally protected so third parties cannot use their data without permission. This is the role of the state, as Mason argues “in postcapitalism, the state has to act more like the staff of Wikipedia: to nurture the new economic forms to the point where they take off and operate organically” (Mason 553), and that it has “to reshape markets to favour sustainable, collaborative and socially just outcomes” (Mason 554). Second, the users should be the ones to decide if their data is available for other parties to be used for advertising purposes via the Ad Manager. The user should have the choice to make its data available or not. They should decide if they want to make it available in exchange for financial compensation from the advertiser, or they could decide to keep their data unavailable. The default setting would be the latter. This way they could either ‘sell’ the rights of their data or they could just not give or share their data rights by not giving permission. 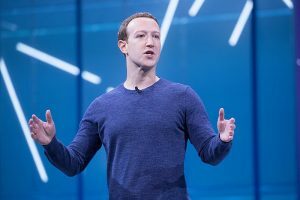 This way, Facebook users won’t be exploited anymore through their data if they don’t share their rights with the third parties so they can’t use their data for advertising. As mentioned earlier, if all profiles are standard legally protected, such constructions should be possible. The Ad Manager then becomes more of a database where advertisers can buy the rights of data to use for advertising, rather than a place where they can just go and advertise for free. This way, free labour is being challenged and user data is legally protected. In this speculative platform, the Facebook profiles of the users would be legally protected by implementing the legal protection of databases called the Sui Generis Right. As stated in Article 7 in the Official Journal of the European Communities, there will be a “right for the maker of a database which shows that there has been qualitatively and/or quantitatively a substantial investment in either the obtaining, verification or presentation of the contents to prevent extraction and/or re-utilization of the whole or of a substantial part, evaluated qualitatively and/or quantitatively, of the contents of that database”. If we treat the user of a Facebook profile as the rightful maker of that profile database, they would then be legally protected from free data extraction. As article 3 explains, the databases which constitute the author’s own intellectual creation would be protected as such by copyright and that the author of the database becomes the rightholder by this legislation, in which the economic rights would be owned by the person holding the copyright (article 4). The first sale of the data from a Facebook profile database, or any copies of it, would be distributed by the rightholder or with the consent to a third party, would exhaust the right to control resale of that copy. So, if a user would give permission to an advertiser through the Ad Manager to use (a part of) the database, the Facebook user would lose it’s (partial) right of the database. This way, the economic rights would then be owned by the new person holding the copyright. By implementing this legal protection of databases, the user would then be in control over their own data and can choose whether their data is being used for advertising or not. One could argue that this is a (reversed) rentist solution. Rentism is one possible post-capitalist future, which Frase (71) differentiates from traditional capitalism since it is based on the extraction of rents rather than the accumulation of capital through commodity production. In a modern economy, the concept of rent must be broadened and made more abstract since there are many other ways that property can generate income without any action by the owner (Frase 72). The revised Ad Manager would seem like a rentist solution because property, in the form of the user data, is now being rented out to the third parties. The user becomes the rentier, rather than the platform. Frase points out that in reality, only a small number of people can be rentiers because only a small number of people is able to afford rentist objects such as houses, cars, etc. The legal protection of databases and the reformed post-capitalist Ad Manager wipes out this seemingly power relation around the concept of rentism as well. Yet, this solution solves the rentist issue of data monopolization by Facebook but doesn’t allow a “social democratic control over aggregated information” (Mason 544). Indeed, as Mason explains, “the aggregated data of our lives, which will soon include our driving speed, our weekly diet, our body mass and heart rate, could be a hugely powerful ‘social technology’ in itself’” (Mason 544). However, even if Facebook users take the fruits and authority of their data back, such powerful social technology can still be used for advertising purposes instead of amplifying collective actions. The following step to our solution would then be to decentralize control within the platform Facebook in order to put social reality under collaborative control (Mason 545). Frase, P. “Rentism: Hierarchy & Abundance” in Four Futures: Visions of the World After Capitalism”. Verso, 2016. Gill, R., & Pratt, A. “In the Social Factory?” Theory, Culture & Society, 2008. Mason, P. “Introduction” & “Chapter 9: A Rational Case for Panic” & “Chapter 10: Project Zero” from PostCapitalism: A Guide to Our Future. Penguin UK, 2015. Srnicek, N. “Platform Capitalism”. Polity press, 2017. Terranova, T. “Free Labour in Network Culture: Politics for the Information Age”. Pluto Press , 2004.